I’m pleased to be joining the blogtour for The Million Dollar Duchesses today. I have a really interesting guest post from the author Julie Ferry, explaining how she came up with just the right idea for the book. One of the questions I am most frequently asked as the author of a non-fiction book is, “How did you come up with the idea?”. My response is usually a mixture of taking readers through the process of researching various individuals or historical periods that you have a keen interest in and then the hours and hours of further research needed into each idea that gives you a sense of whether the idea can sustain a full book. However, I don’t usually tell them that there is almost certainly a great deal of serendipity involved. That little nugget of information that peaks your interest and draws you in to find out more. The time spent half listening to a documentary on the radio or catching a news segment on television that has you rushing for a pen and paper to write down a particular date or event. These little snippets often lead to the fermentation of an idea for a biography or a group biography, as is proven by my book, The Million Dollar Duchesses. The idea to write a book based on the American heiresses that married into the aristocracy during the Gilded Age was not my first idea for a non-fiction book. It wasn’t the second or even the third. It was one of dozens of ideas I had either worked up or researched and discarded over a ten-year period when I was desperately trying to get published. However, when I look back now on all those rejected ideas, whether they were rejected by myself, my agent or different publishers, I can now see why it was The Million Dollar Duchesses that got over the line. And while I can’t lie and say that those ten years of working hard for not much reward was fun, I can see that working on all of the ideas that never made it into print was a vital learning process for me. I arrived at the idea for The Million Dollar Duchesses while researching another book subject. The biography that I wanted to write had a lot of potential with many interesting characters populating the life of my forgotten woman of history. One of those characters was Minnie Paget, a bit player in my subject’s life but something about her story as an aristocratic matchmaker for American debutantes stayed with me. Over the next few days the overwhelming feeling I had to find out more about Minnie kept on returning, whether I was washing up, changing nappies or out for a walk. So, my children had finally settled in bed I found myself researching Minnie, desperate to find out if this character that had so chimed with me really had made a splash in Edwardian England. It turned out she had and in doing so influenced a whole generation of young American women who had used their dowries to buy a title. As an American she had coached them, introduced them to the right people and charged them for her trouble. Through Minnie I found the most wonderful cast of female characters whose lives had intersected during this period and discovered that one particular year saw the most marriages of this transatlantic phenomenon, 1895. That is where I focused my efforts and the result was The Million Dollar Duchesses. Finally, I had arrived at an idea that had that alchemy of ingredients that it takes to interest publishers and readers and, of course, this author. My thanks to Anne Cater at Random Things Tours for the spot on the blogtour. 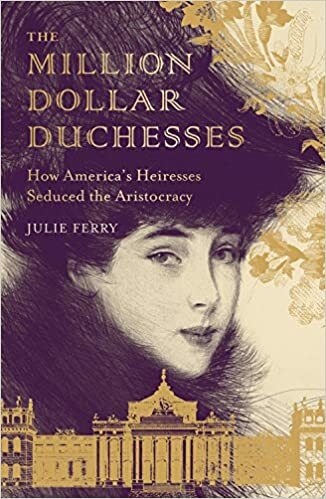 The Million Dollar Duchesses by Julie Ferry will be published by Aurum Press on 3rd May. You can order a copy online here. On 6th November 1895, the young and brilliant heiress Consuelo Vanderbilt wedded the near-bankrupt Charles Spencer-Churchill, 9th Duke of Marlborough. A dazzling yet miserable match was made – one which glittered above all others for high society’s unofficial marriage brokers who, in a single year, initiated and manipulated a series of spectacular transatlantic pairings. Injecting millions of dollars into the ailing aristocracy; fame, money, power and prestige were all at play. Characterised by scandal, illicit affairs, spurned loves and unexpected deaths, The Million Dollar Duchesses reveals the machinations which led to these most influential matches between America’s heiresses and Britain’s elite. The Gilded Age was a tumultuous period for society’s most eligible. ABOUT THE AUTHOR: Julie Ferry is a freelance journalist who has written for the Guardian, Sunday Times, Sunday Telegraph and the Independent, among others. She writes on subjects ranging from protecting women’s rights to discovering Paris alone. She graduated from Cardiff University with a degree in English Literature and then upped sticks and moved to a tiny island between Japan and South Korea to teach English, where she quickly got used to being followed around the supermarket by her students. It was in Japan that she got her first byline and was quickly hooked. Since then, she’s been fortunate to write for most of her favourite publications, but always harboured dreams of seeing her name on the front of a book. 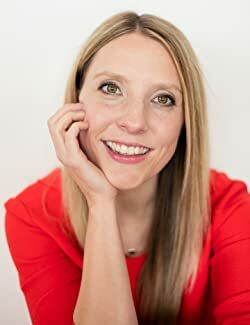 Now, she’s managing to combine her love of writing and an obsession with interesting and largely unknown women from history, with the school run in Bristol, where she lives with her husband and two children.